I took this photo a few years ago and just rediscovered it while looking at some of my files while it was raining yesterday. These wolves are part of a pack of nine and are running toward the rest of the pack. 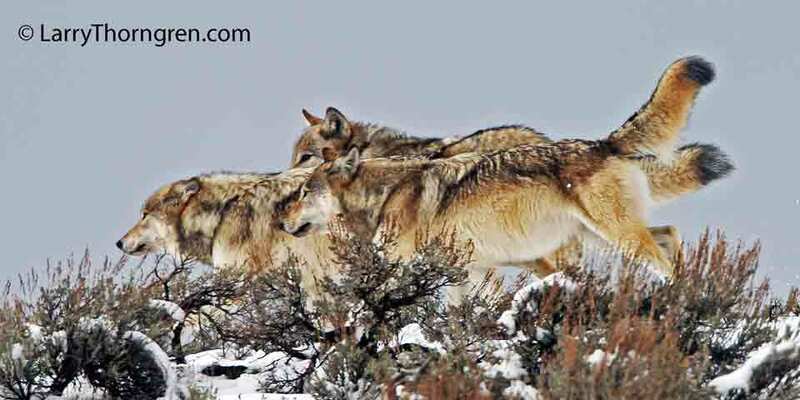 The lead wolf has its' ears back in a submissive gesture as it approaches the other wolves. 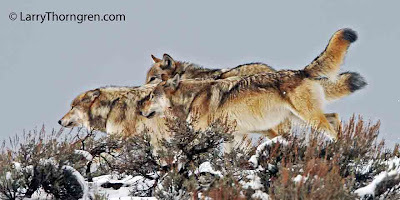 The wolf in back is the alpha male of the pack and has his ears up in a dominant signal.